A pest infestation can have a detrimental effect on any business. 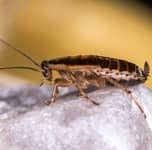 Pests can cause serious property damage, present a health hazard to customers and employees, and result in serious financial losses and unfavorable reviews. Pure Guard partners with many businesses in Nashville to create and maintain a pest-free environment. Should an infestation occur, Pure Guard specialists will arrive swiftly and act decisively. 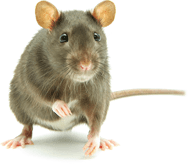 We are well trained and experienced in a variety of pest control methods. Our experts will conduct a thorough evaluation of the property and choose the most effective products and approach. Every property is different and so is every infestation. We create a customized solution for every individual situation. You can count on Pure Guard to put a quick end to your pest problems. The easiest infestation to deal with is the one that never happens. Our customized comprehensive pest prevention plans are developed with that motto in mind. We evaluate your business property for potential pest hazards and suggest a set of effective preventive measures. With the prevention plan, Pure Guard provides a continuous set of pest prevention treatments and a constant watch on your property. Keep your business pest-free with the Pure Guard prevention plan. Professional extermination and prevention of ticks mice, rats, cockroaches, bed bugs, spiders, termites, bees, killer bees, wasps, hornets.